It looks like the market momentum from October may continue into November. U.S. stock futures are clawing up from earlier lows. The S&P 500 is within spitting distance of an all-time high. 1. Turkey is hot: Turkey's main Istanbul index is surging around 5% after the ruling AKP party won a surprise outright majority in parliamentary elections. The lira is also jumping versus the U.S. dollar. "A period of prolonged political uncertainty has come to an end, hence the strong rally of the Turkish lira," explained Simon Smith, chief economist at FxPro. Still, Turkey's economy remains vulnerable to any rise in U.S. interest rates because of its yawning current account deficit and some analysts say the gains may be short-lived. 2. Stocks to watch -- Chipotle, HSBC: Chipotle (CMG) is in the spotlight Monday after the company temporarily closed dozens of restaurants in Washington and Oregon after an E.coli scare. Shares in the restaurant chain have dropped by about 15% since mid-October. Shares in HSBC (HSBC) are dipping by around 1% in London as investors react to the bank's latest earnings results. Pre-tax profits in the third quarter rose 31% compared to the same period last year, but underlying revenues were down. Related: Stocks are on fire. But are they too hot? 3. Earnings and economics: Visa (V), Estee Lauder (EL) and Clorox (CLX) are among the companies reporting ahead of the open. Then Allstate (ALL), Avis Budget (CAR), AMC Entertainment (AMC) and Fitbit (FIT) will post earnings after the close. On the economic side, the Institute for Supply Management will release its October manufacturing report at 10 a.m. ET. 4. International markets overview: European markets are not making any major moves in early trading, but there's a positive bias in the markets. Asian stock markets mostly ended with losses. This comes as official data shows China's factory sector slowed for a third straight month in October. China's Premier Li Keqiang also set a new medium term target for growth, saying the world's second biggest economy will need to expand by at least 6.5% per year over the next five years, according to state media. The Chinese government had been targeting 7% growth this year. 5. Weekly market recap: October was a hot month but the markets were middling last week. 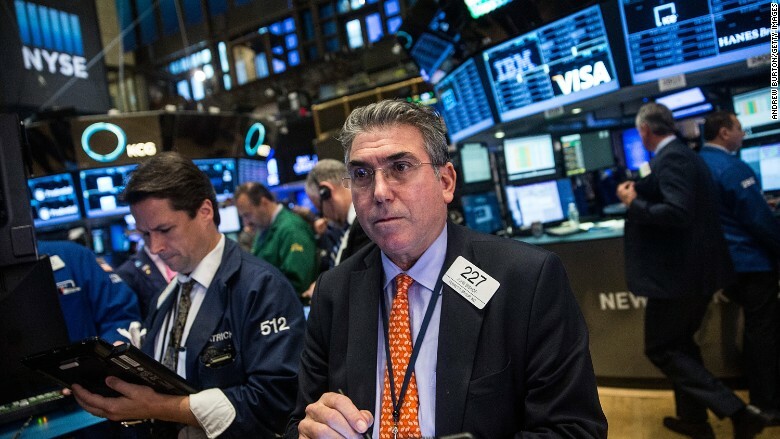 The Dow Jones industrial average edged up by 0.1% over the course of five trading sessions. The S&P 500 inched up by 0.2%. The Nasdaq posted the biggest move, up 0.4%.